Present the perfect red carpet look with our wine velvet rose box bag. Exclusively yours, this new season delight belongs in your angel’s accessory edit. 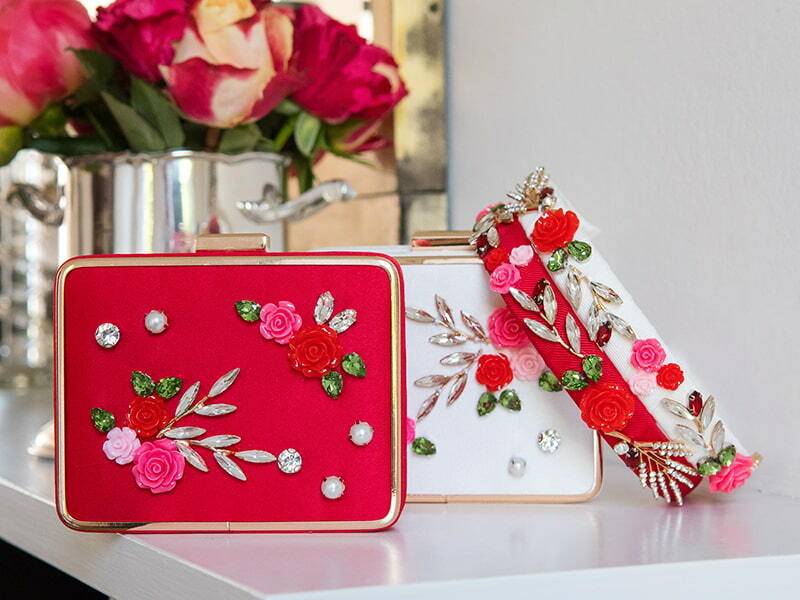 Crafted with an opulent wine velvet fabric with gold contrast accents, this elegant clutch will ensure your princess feels like royalty at her next special event. Designed with parties, concerts and theatre evenings in mind, this piece comes in a chic box-shape silhouette with a luxurious rose motif perfect for any occasion. This gorgeous embellished bag also features a detachable gold chain and a snap clasp closure. 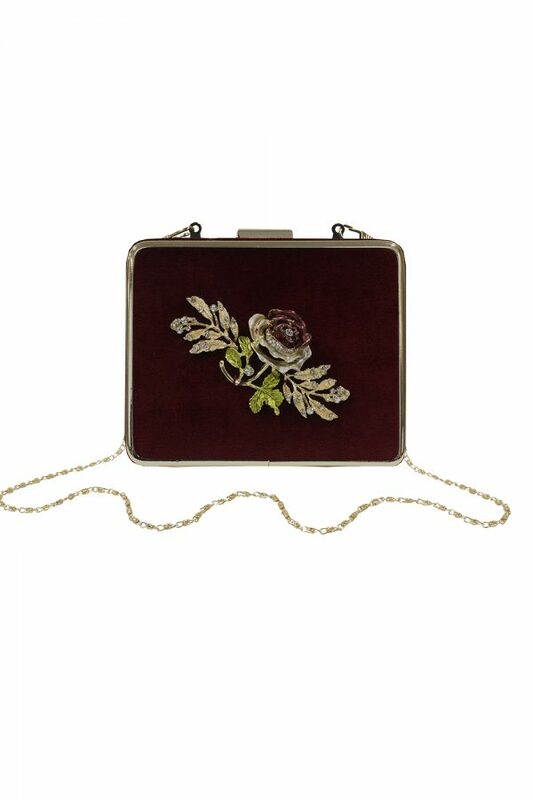 Present the perfect red carpet look with our wine velvet rose box bag. Exclusively yours, this new season delight belongs in your angel’s accessory edit. Crafted with an opulent wine velvet fabric with gold contrast accents, this elegant clutch will ensure your princess feels like royalty at her next special event. Designed with parties, concerts and theatre evenings in mind, this piece comes in a chic box-shape silhouette with a luxurious rose motif perfect for any occasion. This gorgeous embellished bag also features a detachable gold chain and a snap clasp closure. 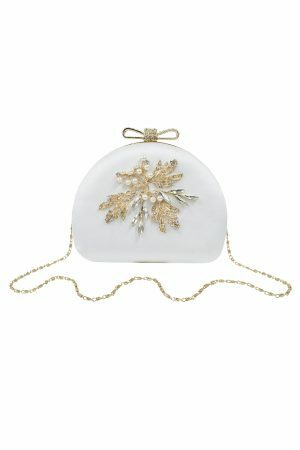 Couture is the order of the day with our ivory jewel dome bag. 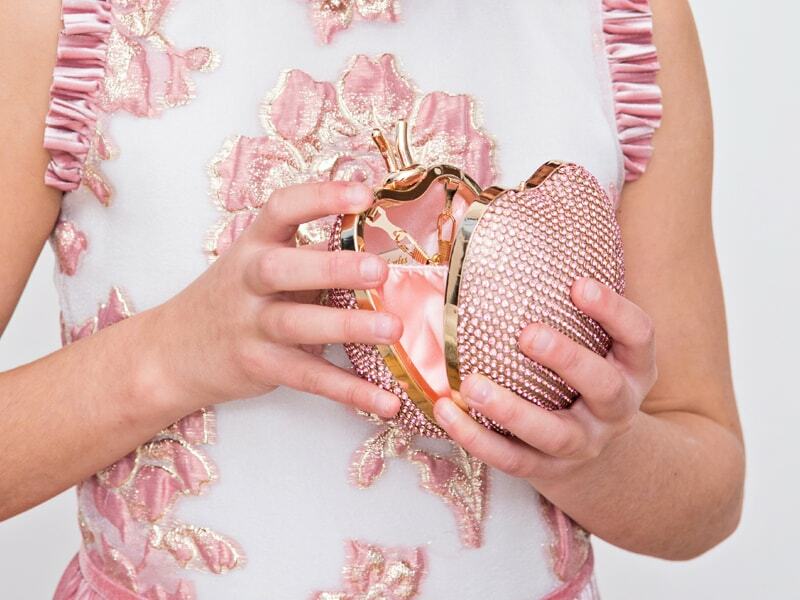 Exclusively yours, this charming clutch is sure to embellish your girl’s new season style in a heartbeat. Whether she has a wedding, bridal shower or an evening invitation, now your little one can celebrate in head-to-toe luxe with all the trimmings. Available in a timeless dome silhouette with a chic ivory satin finish, this designer edition is perfect for all her favourite occasions. This dream bag offers a polished selection of pearl and gemstone accents paired with a gold leaf setting. Details include a jewel-encrusted bow and detachable gold shoulder chain. Magnetic clasp to fasten. Let your girl make first impressions count with our metallic green damask party gown. Made with love, this delightful dress portrays the joy and glamour of the new season allowing your starlet to celebrate in style. Whether she has a festive party or a family dinner date on the cards, your teen will be sure to dazzle in her finest moments. This special occasion gown boasts a metallic green and gold colourway with a luxe damask fabric that offers an embossed floral look throughout. Our fluted ruffle skirt creates a youthful silhouette while bodice jewels lend a final touch of polish to her festive new ensemble. Concealed zip to fasten. Step out in new season couture with our festive red brocade party dress. Whenever the occasion calls for red carpet opulence, your girl is sure to dazzle in this artisan edition. An absolute must-have for your teen's wardrobe edit, this luxurious gown creates a unique and charming look for any season. With a metallic deep red and gold colour palette and a modern silhouette, your angel is sure to adore our fluted ruffle hem which lends an air of sophistication ready for her next important event. This special party dress features a textured finish and a bespoke damask fabric that offers an opulent seasonal look. Includes decorative bodice gemstones and a concealed zip fastening. Complement your girl’s current wardrobe with our black bridesmaid hair band. Perfectly on-trend, this exquisite edition is sure to upgrade her special occasion style for the new season. 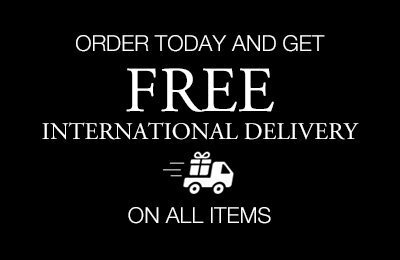 Custom-made for parties, pageants and opera evenings, this opulent accessory comes in a black palette with a soft velvet ribbon throughout. With a charming black and gold design comprised of bumblebees and foliage, note how our jewel accents offset the band’s seasonal motif to a fine art. Let your angel pair this elegant piece with her best little black dress for a decorative day to evening look every time. Transform your girl’s day to evening style with our navy blue flower girl dress. Exclusively yours, this chic little number makes the perfect wedding guest ensemble. An ideal choice for flower girls, bridesmaids and mini bridal shower guests, watch as your angel steals the style spotlight. Featuring a timeless light navy blue colourway and a soft skater silhouette, this new season staple offers a delightful twist on more traditional ball gown designs. This piece also boasts delicate pleated balloon-hem sleeves which are hand-finished with applique flowers and luxe velvet ribbon for a decorative and perfectly polished occasion look. Concealed zip to fasten. Introduce an opulent look for the season with our ivory floral ball gown. Tailor-made with celebratory events in mind, this designer piece belongs in your angel’s special occasion edit. Available in a gorgeous ivory and olive green and pink colourway with metallic accents throughout, this ball gown offers a luxe brocade fabric which serves as the ultimate statement look. Whether your little one has a family invitation or a dinner party to attend, this glamorous gown will ensure she arrives picture-perfect every time. Crafted with soft organza layering, now you can grant your girl’s style wish in an instant. Puff balloon-hem sleeves create a look that’s delicately sheer, ready for your princess to make her mark. Details include a velvet ribbon trim on the sleeves and a concealed zip fastening. Watch your girl steal the spotlight in our green lace elegant dress. Exclusively yours, this chic autumn edition will ensure your daughter feels like an A-Lister as she graces her next special event. Whether she has a wedding invitation, a birthday or a festive celebration to attend, this really is the perfect new season staple. Available in a gorgeous jade green palette with a bespoke lace fabric, note the fluted satin cuffs and matching hemline which lend plenty of fashion-forward appeal. Includes a concealed zip to fasten. Grace every occasion in style with our bejewelled black box bag. Made with love, this precious piece belongs in your angel’s autumn edit. 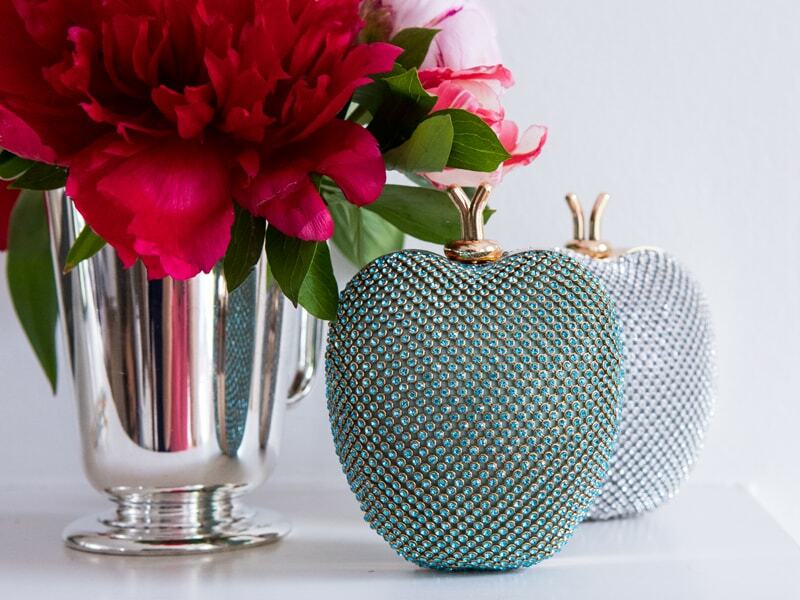 Whether she has a concert, family dinner or a festive celebration, this timeless clutch will elevate her special occasion look in a heartbeat. Available in an elegant box shape with a colourful bee jewel, note the beautiful array of gemstones which serve as the ultimate statement accessory. This seasonal bag includes a detachable gold shoulder chain and a snap clasp closure.